The Truckee River is flowing around 900 CFS at the Reno gauge. This is just about average for this time of year, but that will change soon as a cool end to April has slowed down snow melt. Runoff will continue to ramp up as temperatures rise and the overnight temperature in the Sierra Nevadas is above freezing. 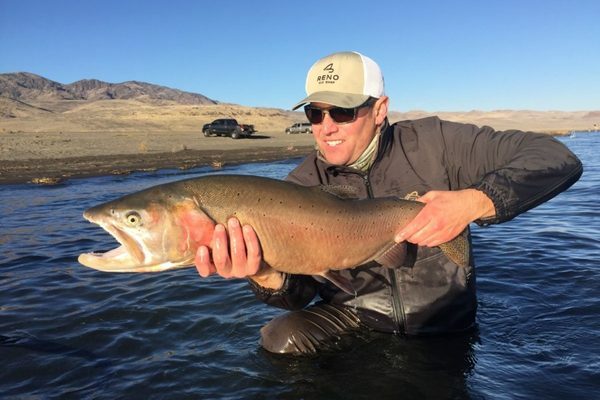 We will see an increase in flow on the Truckee River because of this but the increase flows should not be enough to slow down fishing. 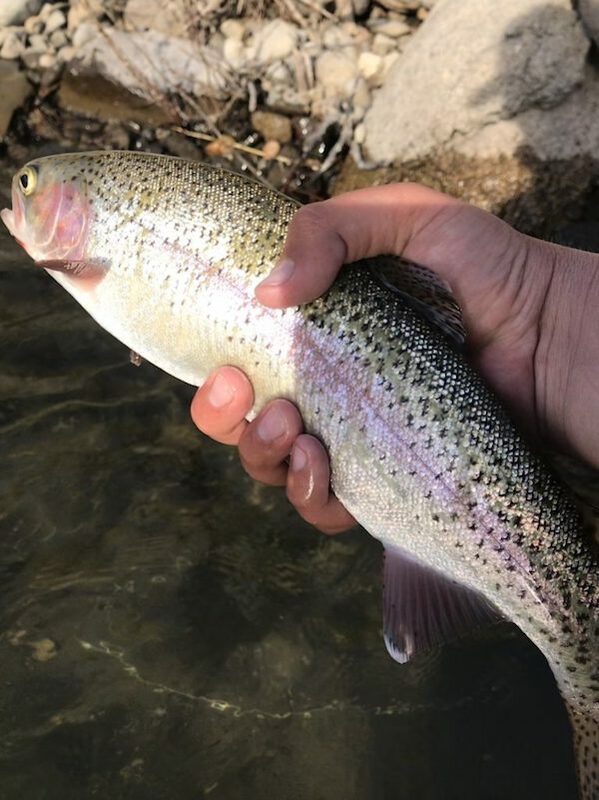 Fishing has been really good with a lot of fishing being caught all over the watershed. Fish are eager to take flies and are being caught in faster water than expected for such flows. Fishing the seams and faster water near seams has been the way to go. 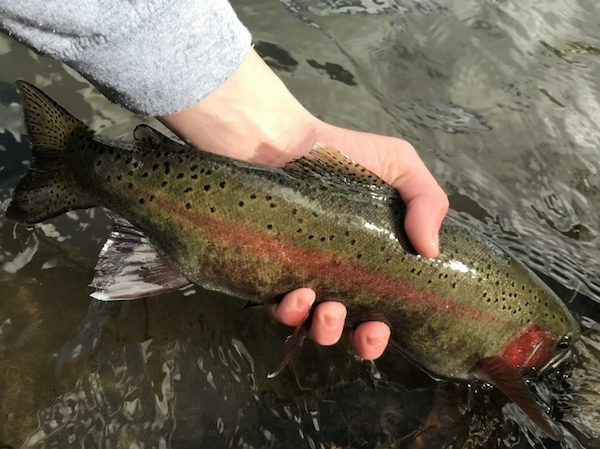 Water temperatures are still a little low (50 degrees) so trout activity will continue to increase as we head into what is shaping up to be an AMAZING summer! 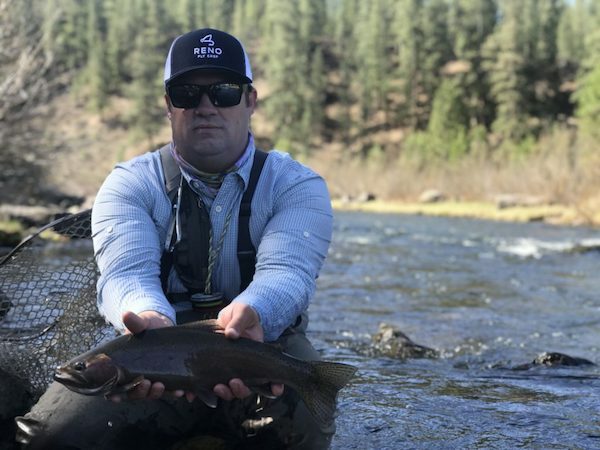 European Style Nymphing has been one of the most effective ways to fish the big Truckee, but we are doing ok on streamers and nymphing with indicators as well. Golden Stoneflies are starting to show themselves again and March Brown hatches are occuring every day around noon. We have been focused on nymphing with both a stonefly and a mayfly nymph in sizes 12, 14 and 16.